Robert DeLaurentis has circumnavigated the globe in a single-engine piston plane and is planning to follow up that achievement by circumnavigating the globe over the poles starting on January 12th. 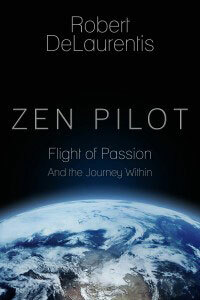 Robert DeLaurentis, the “Zen Pilot,” is a noted speaker and author with a successful apartment rental real estate business and over 1,200 flight hours as a private pilot. 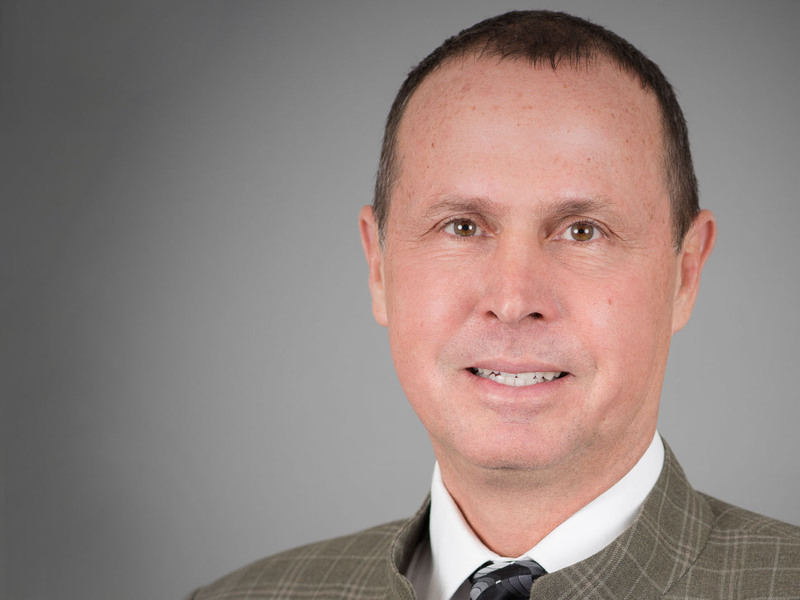 Robert has his Visual, Instrument and Multi-engine Ratings and holds a Commercial Pilot Certificate and an advanced graduate degree in Spiritual Psychology. Often in the air more than on the ground, Robert lives and breathes the adventure of flying while spreading the message of fun and safety. Just as importantly in Robert’s story, is the successful business he created that allows him to do live this lifestyle. 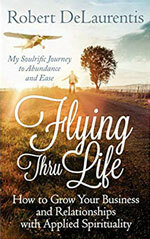 His book, Flying Thru Life, helps businesses and individuals go far beyond what they ever believed was possible. Robert had an impossibly big dream: to circumnavigate the globe in a single-engine piston plane. His journey would take him to the ends of the earth and over some of the most inhospitable terrain on the planet. Having previously flown to far-off places, he thought he knew what to expect. But reality doesn’t always make for the best co-pilot. In Zen Pilot Robert shares the insights he gained from overcoming paralyzing fear, defeating the obstacles, and confronting any situation with grace and ease. 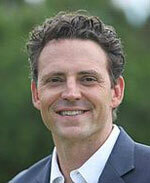 Richard and Noah Dingley talk about life, family, baseball, the radio business and his show on KPRZ. 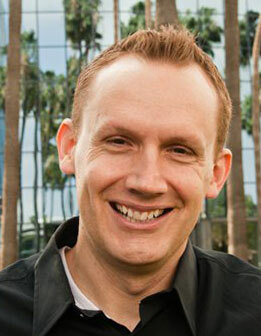 Noah Dingley is the host of “Community Focus” on KPRZ, FM 106.1 North County AM 1210 San Diego. 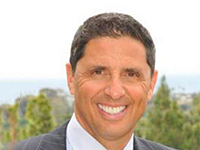 He brings guests that impact the San Diego community as a whole; sometimes these issues are local non-profits doing good throughout the county and other times they are national issues that also can directly impact our fine city. Noah has a passion for kids, being a father himself. He loves to talk about anything that can benefit the life of a child. He often likes to use the phrase, “It’s about what matters locally to you”. Podcasts of his shows are available here. Richard is joined by Anthony Lombardi CEO of the Lombardi Family Office and their CIO (Chief Investment Officer) Jeffery Dunham to discuss what a virtual family office is and how CPAs can attract and keep their best clients. The Lombardi Family Office which allows CPAs to bring the services of a family office for their very best clients using the Lombardi Family office. The Lombardi Family office is there to help clients make a significant impact on the lives of their best clients while helping them live the significant life they were created to live. Since 1995, Anthony Lombardi has been developing and perfecting a business model whose primary focus is to assist leading CPAs and Attorneys to operate their practice more efficiently, to deliver maximum value to their very best clients, and to enjoy organic growth. One of Mr. Lombardi’s special and unique abilities is developing relationships and teaching “The Art of the Relationship” to CPAs and Advisors. 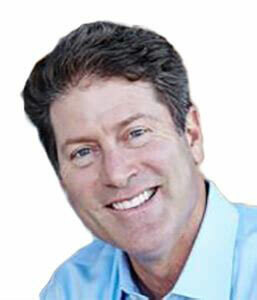 Jeffrey A. Dunham is Founder and President/CEO of Dunham & Associates Investment Counsel. In 1985, Jeffrey Dunham founded Dunham with the uncommon idea that fees paid by clients should be tied, in some way, to the performance of the investments they own. Today, Dunham and Dunham Trust have grown to become a multi-billion dollar firm, but we are still driven by the values of fairness and accountability that Jeffrey envisioned more than three decades ago. He has a B.S. from San Diego State University and FINRA Series 3, 4, 7, 24, 53, 63 and 65 registrations. Richard had a number of exciting guests who were all participants in a fundraising event for The Training Center held at the Rancho Bernardo Country Club. 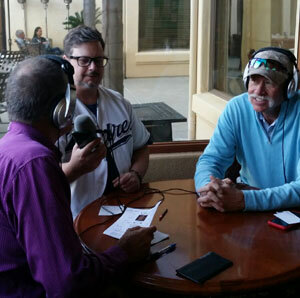 Highlighting the guests was the guest of honor at the fundraiser, former San Diego Padre and Hall of Famer Goose Gossage. They talk about the Training Center and its exceptional work as a drug and alcohol treatment facility for men transitioning back into society as well as some great stories, insite and opinions about baseball and football. The Training Center was established in 2005, California State licensed and recognized nationwide as a highly effective drug and alcohol treatment center for men transitioning back into society. It meets all state and federal requirements for mandated rehabilitation parolee’s as well as the individuals coming from the street. Richard was then joined by Gene Locklear, the organizer of the fundraising event for The Training Center. Gene Locklear played professional baseball from 1969 until 1977. He started in the farm league for the Cincinnati Reds and later played in the Major Leagues for the Reds, San Diego Padres, and New York Yankees. After Locklear’s professional baseball career, he transitioned into a new career as a successful commercial artist and painter. Following Gene, Richard interviewed Willie Buchanon, a previous guest of the show. Willie was born in Oceanside where he resides presently. He went on to have a prolific career in the NFL then returned to Oceanside when his children were old enough to go to school. He built a real estate business, Buchanon and Associates. Willie is the founder of The Buchanon Youth Foundation dedicated to serving the youth of America and a community activist serving on many boards and committees in California and Wisconsin. Richard also talks to Mark Rodondino, an on-air personality at FOX Sports, ESPN, NextVR, Pac 12 Networks, and the LA Football Club. Richard then speaks to Clef Irby, Serving USA’s Vice President of Transformational Programs and Jon Lowry Serving USA’s Reentry Director for Transformational Programs. Serving USA brings hope and change to prisoners, women in recovery and military veterans. They support a network of exceptional partner organizations with funding and other management resources to create, enhance and expand high-quality, evidence-based, transformational programs. Goose Gossage is one of only six relief pitchers in the Baseball Hall of Fame. He played 21 seasons for nine different teams, spending his best years with the New York Yankees and San Diego Padres before retiring in 1994. In the late 1970s and early 1980s, Goose Gossage was one of the earliest manifestations of the dominating closer, with wild facial hair and a gruff demeanor to go along with his blistering fastball. One difference between Gossage and more recent closers is that Gossage often pitched as many as three innings to finish a game, while modern closers typically pitch the ninth inning only. From the Marines to the State Legislature to teaching at UCSD, Nathan Fletcher has a proven record getting things done and making a difference in people’s lives. In the Marine Corps, Nathan served as a Counterintelligence Specialist and did two combat tours in Iraq, the Near East and the Horn of Africa. As an Assemblyman, Nathan was known as one of California’s most effective legislators, passing more than 30 laws to expand healthcare coverage, protect homeowners during the foreclosure crisis, strengthen public safety and increase support services for veterans and the homeless. Nathan authored Chelsea’s Law, landmark public safety legislation that strengthened penalties for violent crimes against children. A Professor of Practice in Political Science at UCSD, Nathan has been teaching courses on public service, political science, California government and American history at the University of California San Diego since 2013. Fletcher’s class on the Voting Rights Act of 1965, was featured recently in the Union-Tribune. Nathan is an avid outdoorsman who enjoys surfing, mountain climbing and competing in Ironman triathlons. He lives in the City Heights community of San Diego with his wife, Assemblywoman Lorena Gonzalez Fletcher, and their four children. Richard welcomed Merrilee Neal, Incoming Chair of the Susan B. Komen Board of Directors to discuss the 22nd Annual Race for the Cure® on Nov. 4 in Balboa Park. Merrilee is a breast cancer survivor and is this year’s Race Chair and a top fundraiser. Merrilee serves on the Susan G. Komen San Diego Board of Directors and is the incoming Board Chair. They were also joined by Mari Muscio, co-owner of The Brighter Side, a boutique specializing in products and services for breast cancer survivors. 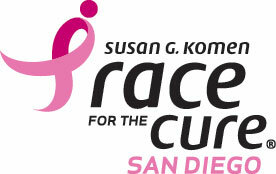 Susan G. Komen® San Diego’s 22nd annual Race for the Cure®will be held on Sunday, Nov. 4, 2018 in Balboa Park. With the money raised from the event, Susan G. Komen San Diego provides free services for every step of the breast cancer journey, including research, mammograms, biopsies, ultrasounds, care coordination, advocacy and financial assistance for breast cancer patients’ most critical needs during treatment. When San Diegans participate, their donations directly help breast cancer patients in San Diego County, as well as toward research grants internationally. Komen San Diego is the only organization that studies San Diego County to identify the gaps in breast cancer care and the barriers to health access. Komen set a Bold Goal is to reduce the current number of breast cancer deaths in the U.S. by 50 percent by 2026. Critical funds raised throughout the year through events like Race for the Cure go toward reaching this goal. This year’s walk features a memorable morning that celebrates breast cancer survivors, forever fighters and honors those we have lost to the disease and Survivor Village – a dedicated space where we honor (and pamper) our survivors. In addition to the 5k this year the Race for the Cure will include a 1 mile walk so everyone can enjoy the excitement and comradery of the event. For more information go to the Susan G Komen website at komensandiego.org, and to register go to komensandiego.org/walk. 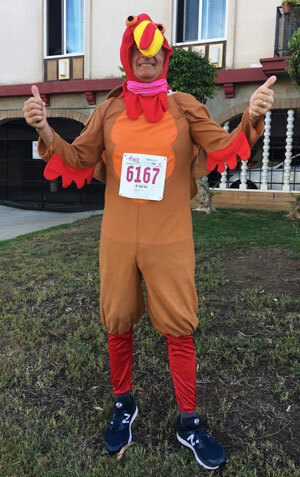 Richard welcomes Kathy Kinane and Ruben Sandoval to discuss North County’s Favorite Thanksgiving Day Tradition, The 13th Annual Pacific Marine Credit Union O’side Turkey Trot. Richard Muscio and Kathy Kinane co-founded the “Move Your Feet Before You Eat!” Foundation that puts on the 5k and other races held in downtown Oceanside. Board member Ruben Sandoval is a retired Oceanside Police Officer and has been an elite long-distance runner for over 20 years. Ruben is the captain of the OPD Baker to Vegas Relay and has been an integral leader in finding solutions to the challenges that face the youth of Oceanside. Recognized as one of the Top Trots in the country by Runner’s World Magazine and the Los Angeles Times, the trot attracts visitors from 46 States and 460 cities. There will be races for everyone. The event offers a costume contest, largest teams competition, fabulous live entertainment on the course and finisher medals for all participants. Free digital photos, medals, shirts, and timing to all registered participants. 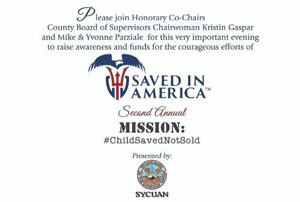 The event has raised over $321,500 for non-profits that serve Oceanside residents. 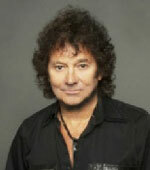 Mickey Thomas, of the iconic band Starship, was born in Cairo, Georgia on December 3, 1949. He was inspired to pursue a career in music after traveling to Atlanta with longtime childhood friends Charles Connell and Tommy Verran to see a Beatles performance in 1965. Thomas, Connell, and Verran wound up in their first band together. Verran was the lead vocalist at the time. They split up to go to different colleges but later reformed in the early 1970s along with friend Bud Thomas as the “Jets.” While singing lead for the Jets in 1974, Thomas joined the Elvin Bishop Group as a backup vocalist and eventually ended up singing lead vocals. He sang lead vocals on the 1975 Elvin Bishop single “Silent Night” and the 1976 single “Spend Some Time,” but his best-known achievement was the hit “Fooled Around and Fell in Love,” a #3 single in 1976. He will be performing with Starship featuring Mickey Thomas at the Poway Performing Arts Center on October 12th at 8:00pm. His voice is on-fire and the music is a compelling blend of then and now. Richard welcomed two very interesting but divergent group of guest to his show. Pat and her sister Pam have both competed at Forest Hills. During her 19 years of competition at Forest Hills and Wimbledon, Pat inaugurated the Open Era on Center Court versus Ann Haydon-Jones. So impressed were the British press with her beauty, that they named her Wimbledon Glamour Girl twice. Her modeling career led to marriage with England’s favorite cricketer John Edrich. Meanwhile, Pam was not only competing occasionally but coaching personages from Ross Perot to Dinah Shore at famed clubs from New York to Miami. Pam’s weekend with the Kennedy family may enliven discussion of the anniversary of JFK’s death. 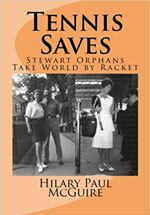 In his biography of Pam and Pat “Tennis Saves: Stewart Orphans Take World by Racket,” Hilary Paul McGuire documents the lives of two women who were literally saved through their involvement in tennis. Michael Tedesco and Monica Feakes join Richard to discuss the third annual Coastchella concert to benefit Scripps Memorial Hospital Encinitas which will take place Thursday, Oct.11, at the Belly Up Tavern in Solana Beach. Chart-topping singer-songwriter and American Idol winner Phillip Phillips will be the featured performer. Our community advisory board dreamed up the idea last year, and it was such a success they are doing it again this year! Coastchella will begin at the iconic music venue, 143 South Cedros Ave., with a 5 p.m. VIP reception. It will be followed by the main event from 6 p.m. to 10 p.m., including a cocktail reception, live auction and live performance by Phillips, who won the 11th season of “American Idol.” Phillips’ singles “Home” and “Gone, Gone, Gone” both reached the No. 1 spot on the Billboard charts. Proceeds from the event will help fund the build-out and enhancement of the intensive care unit in the new acute care building at Scripps Memorial Hospital Encinitas. North County’s population growth has created a need to expand patient care capabilities at the hospital. This autobiographical book is a narrative about “The Battle of the Sexes” and “The Mother’s Day Massacre” tennis matches through the eyes of his young scrapbook maker, Richard Muscio.